This study aims to find out the effect of option numbers on the item instruments of belief about mathematics toward the maximum reliability. The method used was experimental method with one-way analysis of variants (ANOVA) design 3x1. The population is all students of state Junior High School in Medan academic year 2014/2015. 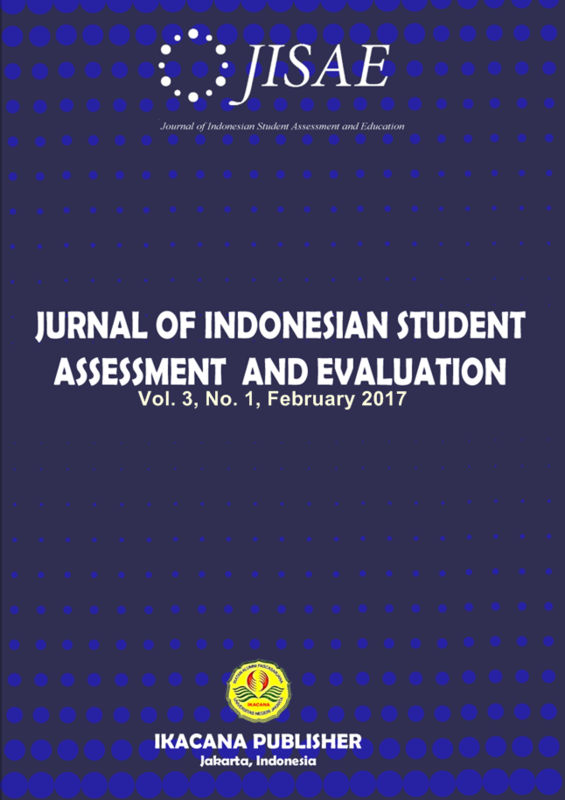 Sampling was done by multi-stage random sampling in order to obtain a sample 1,050 students of three state Junior High Schools in Medan. Study hypotheses were tested using one way ANOVA. Study results conclude that: (1) The maximum reliability of the instrument of belief about mathematics with five options is higher than the maximum reliability of the instrument of belief about mathematics with four options and three options; and (2) The maximum reliability of the instruments of belief about mathematics with four options is higher than the maximum reliability of the instruments of belief about mathematics with three options. Therefore, the more option numbers on the item instrument are, the higher the maximum reliability will be.